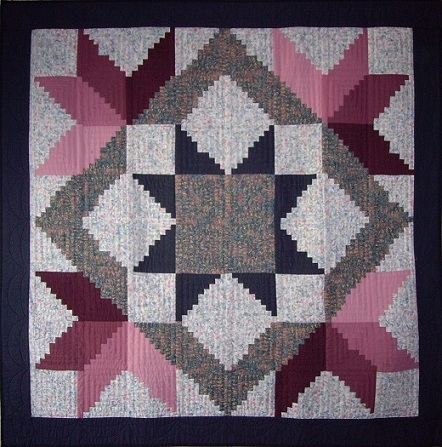 For a while now, I was thinking of making a log cabin where the blocks were pieced on both sides of the quilt, at the same time. It was not hard to figure out how it works, but because both patterns are very different from each other, it was quite a challenge to make this quilt. 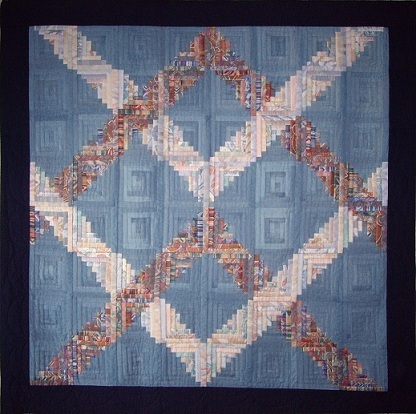 The borders are machine quilted.